The Sweet Oil of Vitriol was a clever and fun read, which could’ve used some editing here and there. I thought the setup of the story was original – a spy that has to go undercover and work as a waiter in a high class hotel in the UK for about six months until he can do to his real job: kill people. Throughout the story you get to know that Thomas is a spy at heart but gets distracted (mostly by women) quite easily, which leads to him making a few “little” mistakes from time to time. One thing that bugged me a little was the part about Drake’s, yes the rapper, stay at the hotel and his behaviour there. I don’t know Drake personally, duh, but Eagleton portrays him as a stereotype rapper: an arrogant guy with a big group of men and women around him who like partying, fighting and breaking things. With this Eagleton made it a little too personal, with calling Drake by his (rapper)name, instead of just mentioning “a rapper”. This would’ve been enough to understand what was happening, in my opinion. 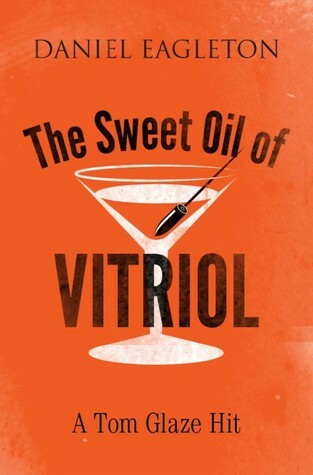 Overall, The Sweet Oil of Vitriol was a nice, easy read that was hard to put down at times. At the same time I thought some things were a bit out of place and that some characters could’ve been worked out a little better.